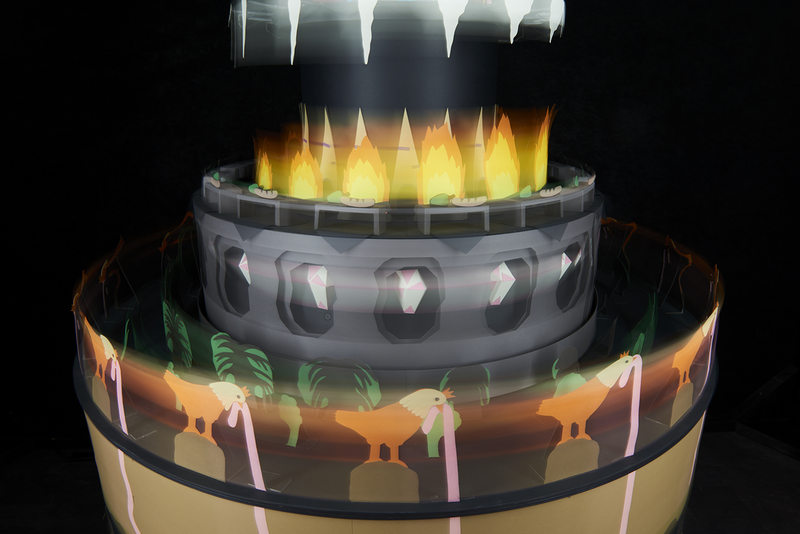 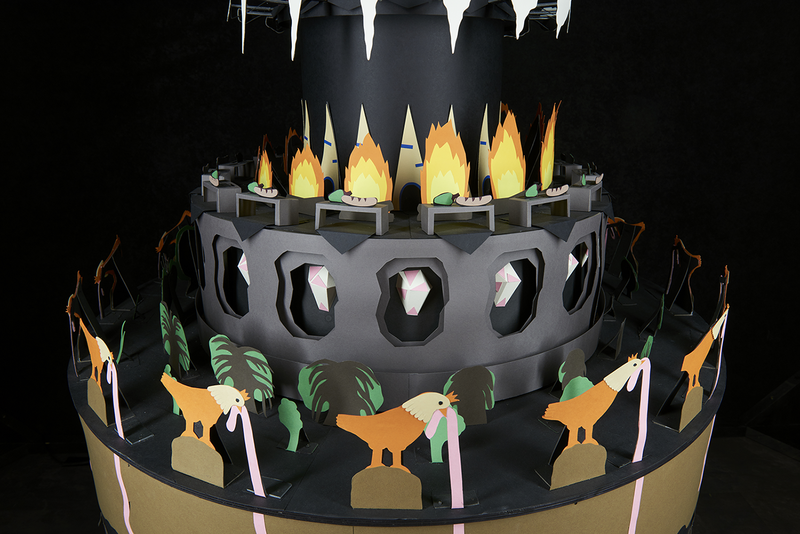 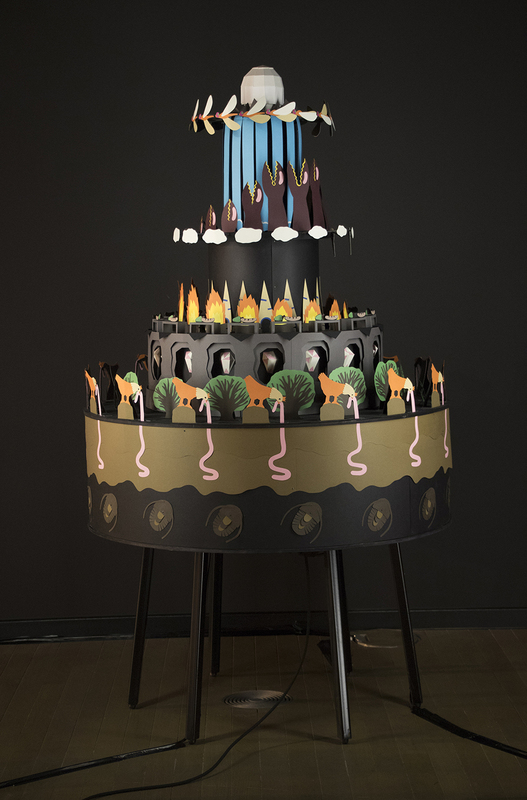 Zoetrope made with more than 340 paper models all handmade. 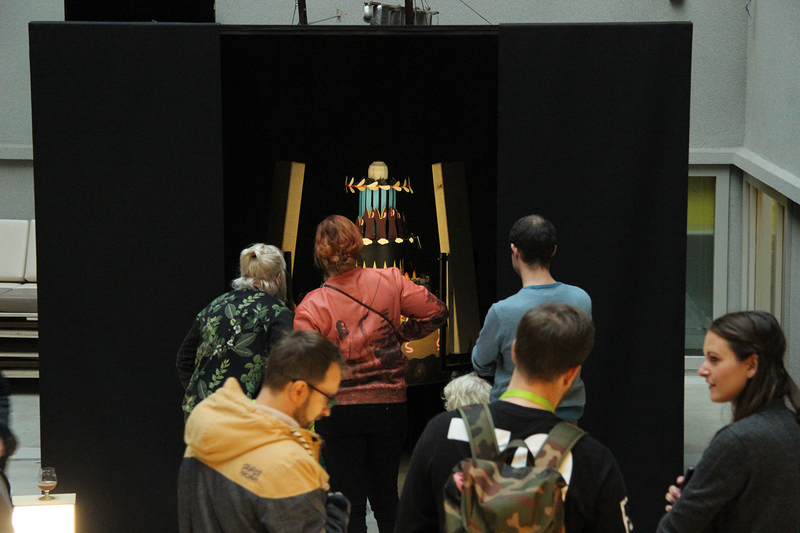 The authors of the idea for the project to connect a GIF gallery with an interactive exhibition are artists Michaela Čopíková & Veronika Obertová, who work under the brand Ové Pictures; Mária Rišková is the project’s curator. 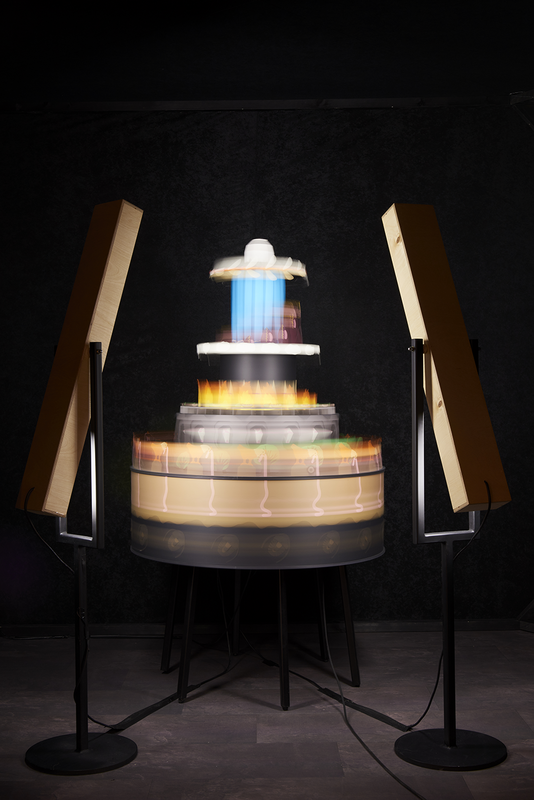 Electronics and interactivity was created by Ján Šicko & Roman Mackovič – DevKid.